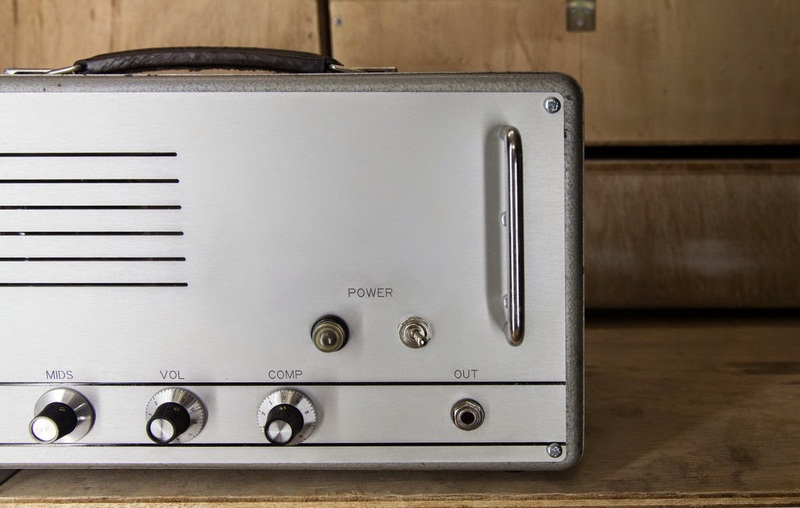 The Bass Buddy II is the latest of the Rerun bass amplifiers. Sticking with the concept of a very simple amp, the Bass Buddy II has only four controls: Volume, Mids, Tone (tilt) and Compressor. That said, there are a load of sounds possible from a very clean modern tube sound to thick and overdriven to a thumpy compressed sound reminiscent of 60´s studio sounds. 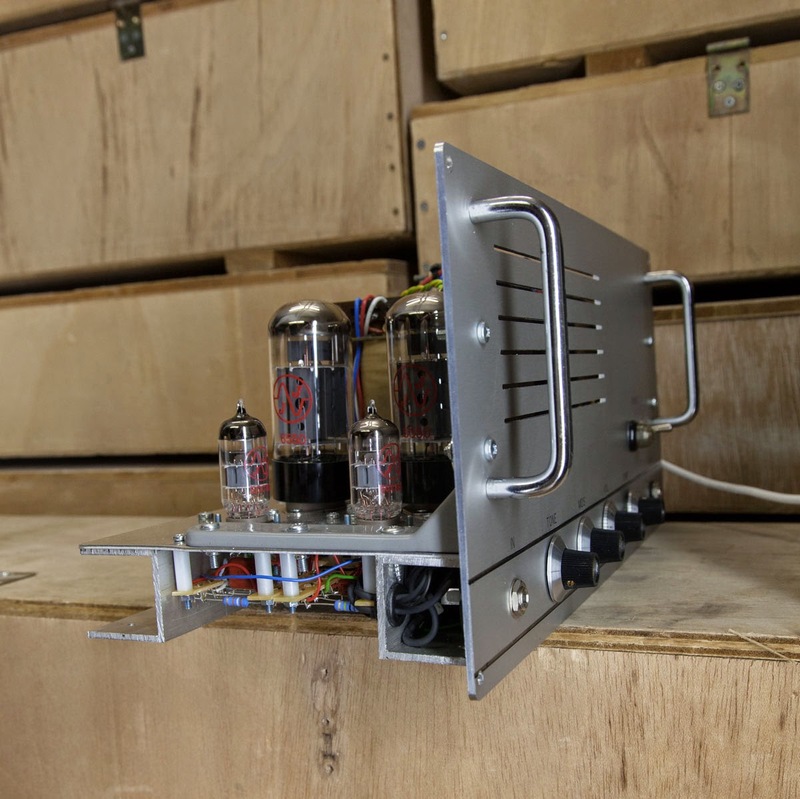 The power amp this time around includes a pair of 6550s for around 70 Watts. They make a very nice impression with heaps of bass and a great full tone. 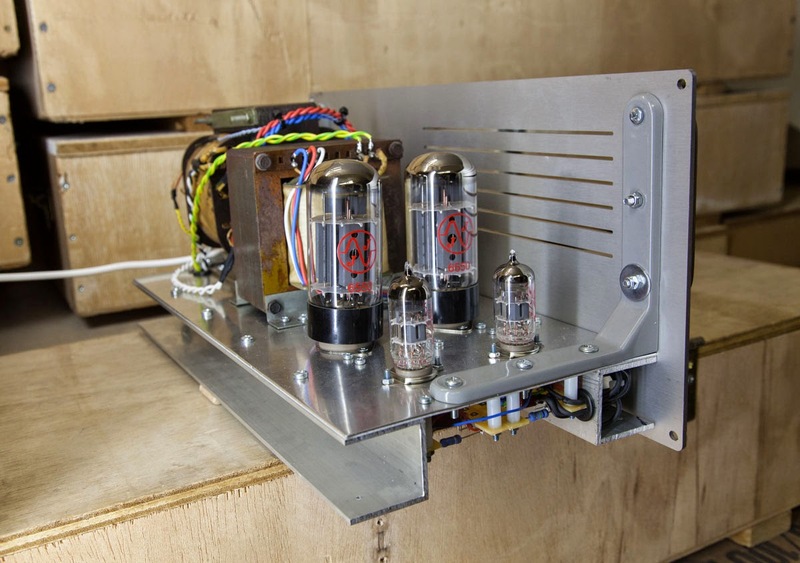 The vintage case allows for plenty of airflow which is important for these big tubes! 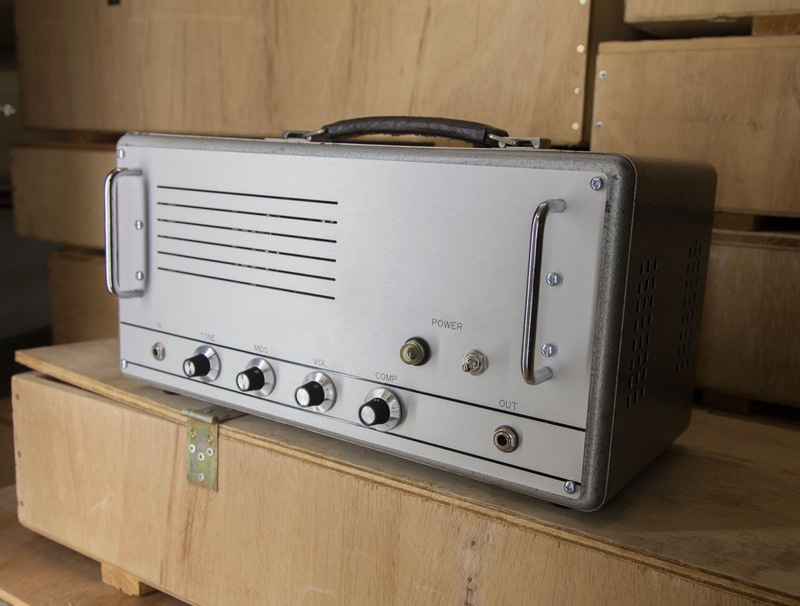 Inside, the all aluminium construction is very solid and the U-profile pieces even allow for the controls and input to be shielded, making the amp even quieter.